A taste of Italy is coming to the Bermagui and Tura Marrang libraries next month with two free pasta making demonstrations. 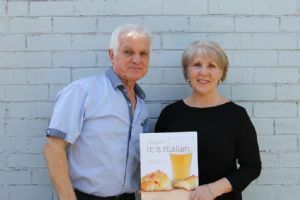 First generation Italians, Laurie and Hilda Inglese will showcase the art of making a variety of pasta from scratch. They are also keen to teach people about matching the different sorts of pasta with the right sauce. Programs and Partnerships Officer, Scott Baker said that a library is an ideal setting for learning the basics of pasta making. “People can watch and learn and then borrow a cookbook from our library collection to discover some great sauce recipes - bellissimo!” he said. Laurie and Hilda have produced their own cookbook called ‘Wow! It’s Italian’ and they will have copies for sale at the workshops. Their recipes are based on a philosophy of simple but authentic Italian cooking handed down through their families and based on ingredients grown and produced locally. Hilda said that living in the Yarra Valley they appreciate the fresh produce available to them direct from local farms. “No doubt, the same goes for the Bega Valley with some wonderful local produce available here,” she said. Laurie said their passion for cooking was instilled in both of them from a young age. “As first generation Italians, we grew up surrounded by the traditional recipes of our families which we enjoy sharing with others,” he said. The Pasta Making demos will take place at Bermagui Library on Monday 10 October, 10am and at Tura Marrang Library on Monday 10 October, 2pm. Book online or phone Bermagui Library on 6499 2411 or Tura Marrang Library on 6499 2340. Photograph: Laurie and Hilda Inglese will demonstrate pasta making from scratch at the Bermagui and Tura Marrang libraries.